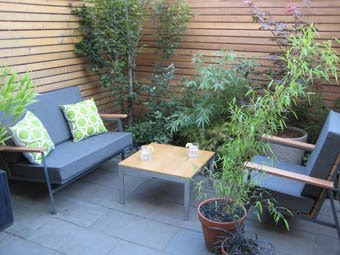 When I saw the patio, though, I had one thought: garden. See, gardening is something I can't do at all in our current arrangement. We're on the corner of the building on the eleventh floor and the wind whips everything to shreds - even simple plants like herbs. 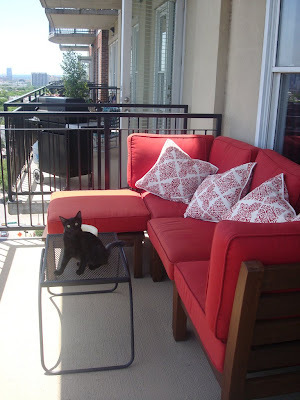 Our patio is great for lounging, but not for growing things. If we were going to be here forever, I'd try building a structure to help protect plants from the wind and too much sun. But it's probably not worth it at this stage in the game, so instead I just grit my teeth every time I buy fresh basil, mint, dill, and cilantro - which is pretty much every trip to the market. Nothing irks me about my lack of a garden like having to purchase fresh herbs when I could grow them instead. But oh, the possibilities with more and better configured space! 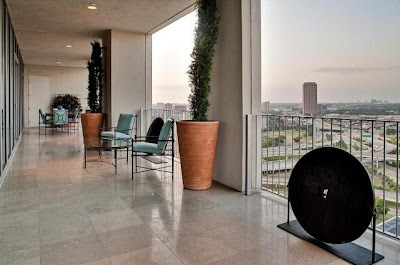 I enjoy seeing urban translations on outdoor living, since that may very well be the typology we'll be calling home when we actually are in the market to buy something. And since I already know that I do well in cozy bungalows with real in-the-ground gardening space and a walkable neighborhood, it's reassuring for me to find other scenarios that could feel at home, too - a spectacular building, sure, but one that feels more grown-up than the last apartment we toured, one that's a little less bachelor and a little more family (we saw kids and dogs - always a good sign). Reasserting my versatility in these matters makes me feel like I'm ready for whatever may come. That's important to me, since we're not really sure what's next. 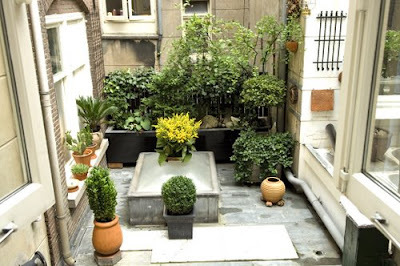 In honor of this weekend's to-die-for patio, I was inspired to seek out images of patio gardens. 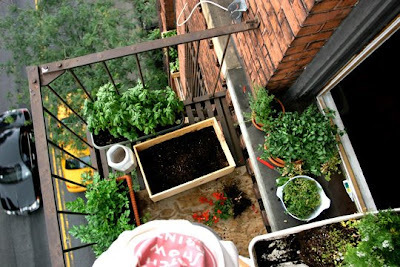 I'm not including any backyard or rooftop gardens here, which can obviously be stunning and enormous; I'm talking simple, urban, DIY container gardens that could work on any non-wind-tunnel patio. 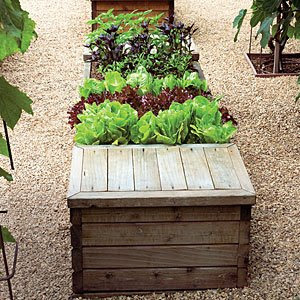 Even the tiniest spaces can accommodate container gardens, depending on your conditions. Source. There's a lot going on here, but not a lot of food. 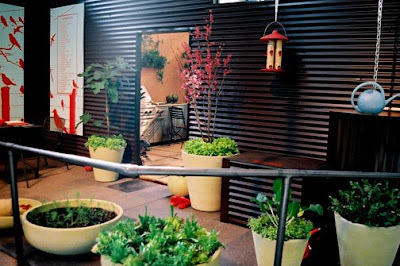 However, the concept of stacking plants to line a wall is perfect for any small outdoor space. Source. 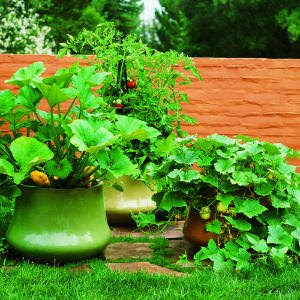 Container gardening isn't just for herbs. These would be great on a patio (my containers would be obnoxiously colorful, of course). Source and how-to. 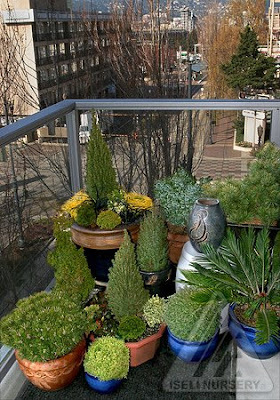 Replace these decorative plants with herbs and vegetables - gorgeous! Source. Please excuse me while I go graze on greens for dinner. Source. Lounging in the greenery. Source. I saved the best for last. 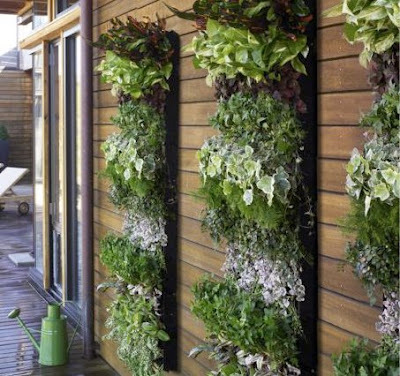 Does it get any cooler than a vertical herb garden for an urban space? I think not!!! Source. oh no. you may have inspired me. although, i tried (like, i REALLY tried - read instructions and everything) to grow herbs 4 mo ago and they didn't grow :( I need help. 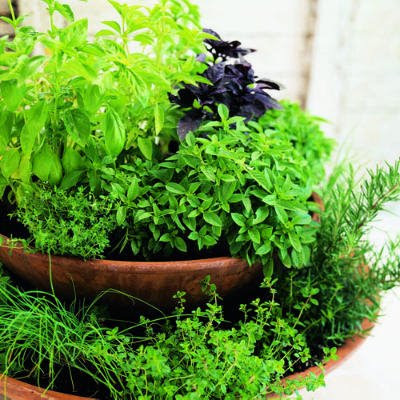 have you tried growing the herbs inside? I've had great success growing basil and mint indoors (on inner window ledges). Hi anat! We have a couple of issues inside, mostly involving our two cats. They are curious in every sense of the word. I was going to post a comment on how I wish I had your green thumb and could have a patio garden without the midwest heat killing my plants (sigh), but then you provided the Epicurious link. Thank you for reading my mind! Ohhh heaven on earth! The vertical garden looks awesome! Inspiring garden photos. 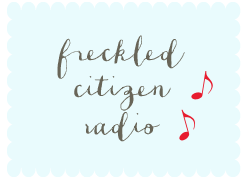 Thank you for sharing this article, this is nice one…. I like it a lot and Hope others might like it as well. 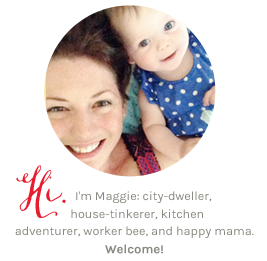 Blogging all week at EAD!